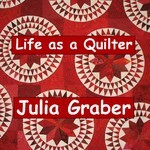 This is my latest quilt. 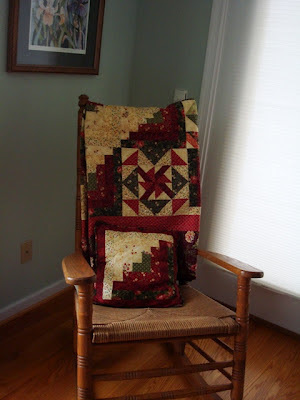 Does anyone have a name for it? Autumn thought I should call it "Under the Sea". Yes it is a little modern for me. 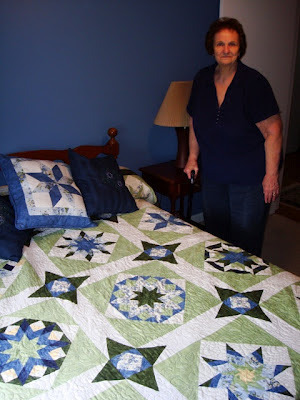 My friend Shirley and her "Saturday Sampler" quilt. Another one of Shirley's Saturday Sampler quilts. 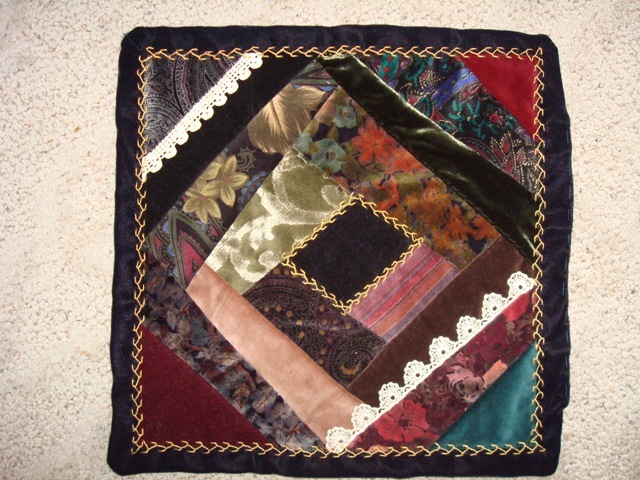 If you are interested in the Saturday Sampler classes call Patchwork Plus to sign up. March is the beginning of a new year. 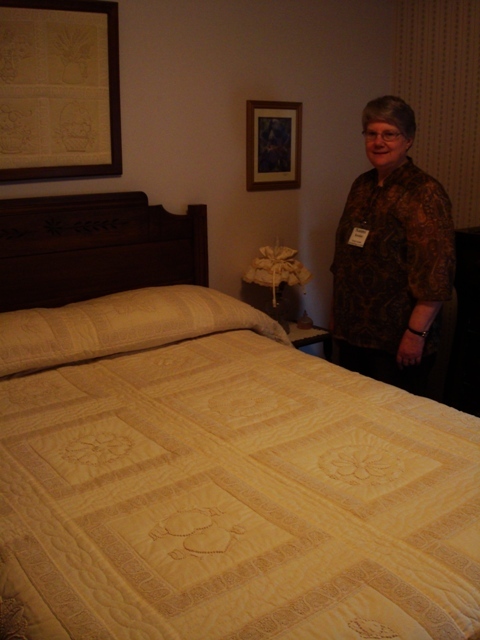 My Bible Study Fellowship leader Naomi beside a candlewicked quilt she made. Each block had a different pattern. 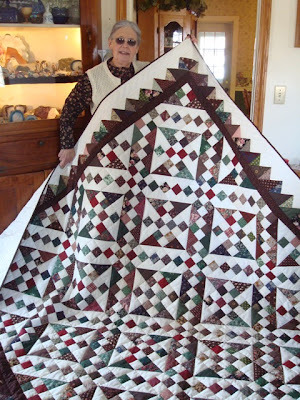 Aunt Ida came today and returned some quilt books she borrowed. She brought her "Scrappy Trials" quilt she pieced in browns, greens and reds. 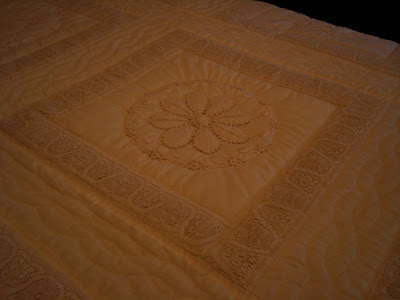 It is hand quilted. A velveteen pillow top she stitched. Candlewicking seems a lost art. I used to love candlewicking when I was young. It is lovely. 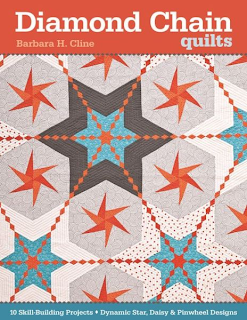 Barbara, after losing my sister, I love reading about the good times you sisters have when you get together (either in person or by Internet!) 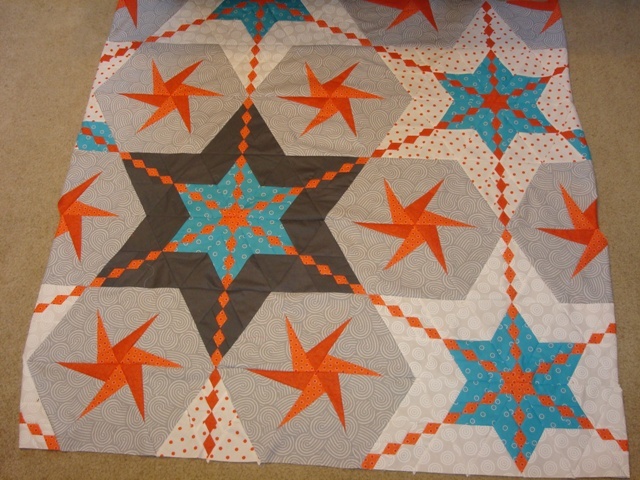 Your turquoise/orange star quilt makes me think of navigating by the stars; how about "Navigation" for a name? Whatever you name it, it is beautiful.